Oily Skin: Pay attention to the words placed on the label that describes the product. If you have oily skin look for words like, “oil free” and “mattifying”. Foundations that work great for your skin are cream to powders, mineral foundation, and powders. I’m addicted to Bare Mineral’s MATTE SPF 15 Foundation in Medium Tan. 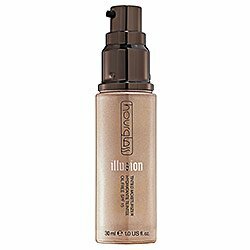 It glides on, provides full coverage without looking heavy, and has an SPF 15. Combination Skin: For those of you with combination your T-zone is you problem area. Stick foundations are great, because it gives control of where to add more or less coverage. Mineral and powder foundations are a great choice as well as long as they’re not as heavy. Dry Skin: When it comes to dry skin you can get away with a lot more. Liquid foundations are great for you’re skin, but you can also try a cream or mousse foundation. They’re heavier and provide more moisture. Many times the most difficult part of this whole process can be finding the color closest to your skin tone. Some say to test it on the back of you’re hand, but your hand and face don’t match perfectly. Instead test a strip of the foundation on your jaw line. Check it out in natural lighting and the one that blends or disappears into your skin is the perfect match for you. Or you can just ask one of the consultants to help you out.